According to a study sponsored by the German Ministry of Economics and Technology and the German Hiking Association (2010), more than half of all German citizens use this simple chance to do something positive for their health and to enjoy fresh air and unspoilt nature. 30% actually do this at least once a month. Hikers come from all walks of life and the proportion of men and women is roughly the same. Conspicuous: In 2015, 17.3 million people among the German-speaking population aged 14 years and older went on a hiking or backpacking vacation (source: statista/German language). Alone or in a group, in the foothills or in the Alps – hiking can be very varied and with the right preparation, it offers the perfect opportunity to enjoy the beautiful mountain air. If the right destination is chosen to match your ability and equipment, then the hike will be a beautiful experience. Researchers are agreed; regular long walks in the great outdoors are ideal for preventing diseases of civilisation. These make our cardiovascular systems more resilient and stabilise our back muscles. Furthermore, repeated gentle exercise strengthens the bony architecture of our bones and protects against osteoporosis (source: IKK gesund plus). And don't forget: hiking keeps you slender. The energy consumed by walking a mile is similar to that used to run a mile. It just takes a little longer. Since the weather in the mountains can turn nasty very quickly, the German Alpine Club (DAV) recommends wearing layers of protective clothing against the cold and bad weather: wear light T-shirts, a fleece and a weatherproof jacket. Make sure you have functional underwear, a cap, gloves and socks with a reinforced sole. Stout outdoor shoes are generally good enough for the average hiking trail, but a more demanding mountain tour over rocks and scree requires strong mountain boots with a sole with a good grip and watertight upper material. And besides a drink, you will also need the following utensils in your rucksack: walking maps, sun blocker, first-aid kit, a space blanket, a mobile telephone and a penknife (source: DAV/German language). Hiking activates the muscles and strong muscles reduce strain on the joints and improve posture. igli Comfort insoles are an ideal complement to hiking boots. The carbon makes the insole particularly comfortable and can have a positive effect on muscles and body posture. Special feature: individually positioned posts on the underside of the insole guide, support and relieve strain on the foot. Incidentally: foot deformities are a common cause of hip, back and knee pain. Insoles can be very useful in such cases. Alpine terrain can be treacherous. It's not the more extreme forms of activities, such as mountaineering and skiing, that are particularly likely to cause accidents, it's hiking. A study by the German Alpine Club showed that 32% of all accidents reported on mountains were sustained during what was supposed to be a relaxing walk. With 65% and in pole position of the causes of accidents: lack of experience in the mountains, inadequate skills, and misjudgement (source: DAV). Sprains are among the most common walking injuries. If you've twisted your ankle, you should initially elevate the leg and cool the sprained ankle. If you cannot walk any further, you must alarm the mountain rescue service. Sprains are usually uncomplicated. Your doctor can prescribe a medical device for you such as the medi supports Levamed or Levamed active. These combine compression with a massage effect that promotes the healing process. Depending on the degree of severity of the injury, there are also orthoses for the ankle joint. M.step from medi is a firm half-shell and stabilises the joint very well in combination with the shoe. It also has foam gel cushions that mould themselves to all the anatomical features and ensure even compression. The M.step ankle orthosis can be fitted quickly and reliably with only two Velcro straps; the straps can be taken off the outer shell and fixed individually. 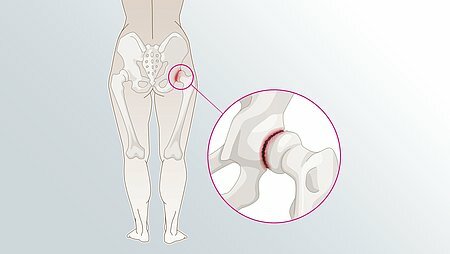 However, in some rare cases, ligament injuries and swelling caused by a sprain can lead to chronic instability of the joint. 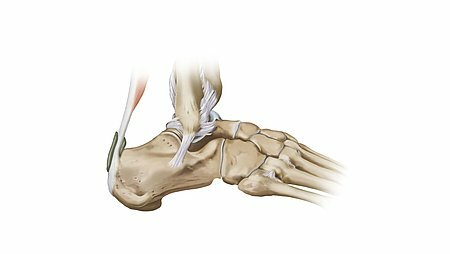 This means that the joint is too lax and you could twist and sprain the ankle again. Special ankle supports (e.g. Levamed active) have a strap system that can provide additional stabilisation of the ankle joint to protect it against repeated twisting injuries. It may be useful to wear compression garments if you have weak connective tissues, venous disorders or if you are considerably overweight. Medical retailers can now supply you with special sport compression garments, such as CEP, for almost all types of sports.